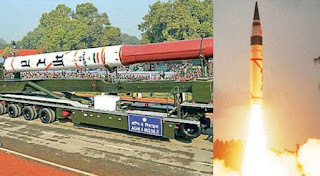 India successfully test-fired its nuclear-capable strategic ballistic missile Agni-IV On sunday with a strike range of 4,000km as part of a user trial from a test range off Odisha coast. 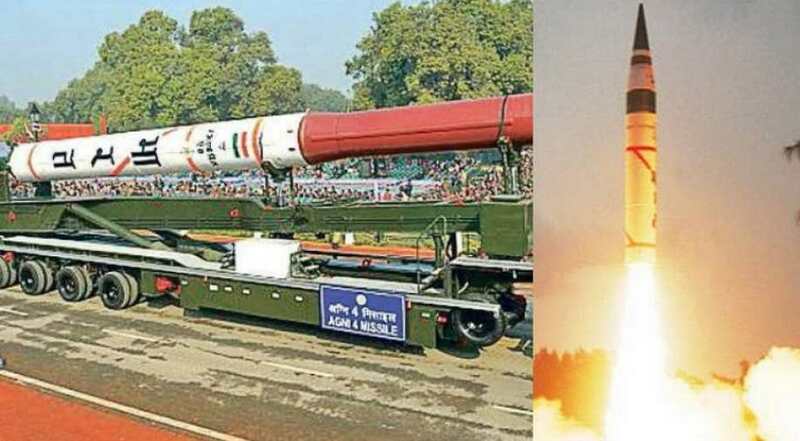 Supported by a mobile launcher, the surface-to-surface missile was flight tested from launch complex-4 of the Integrated Test Range (ITR) at Dr Abdul Kalam Island, formerly known as Wheeler Island, at 8.30AM. This was the 7th trial of the indigenously developed Agni-IV missile which met the mission objectives. The last trial conducted by the specially formed strategic force command (SFC) of the Indian Army on January 2, 2017, was also successful. The sleek missile having 4,000km strike range is a two-stage missile. It is 20 meter-long weighing 17 tonnes.